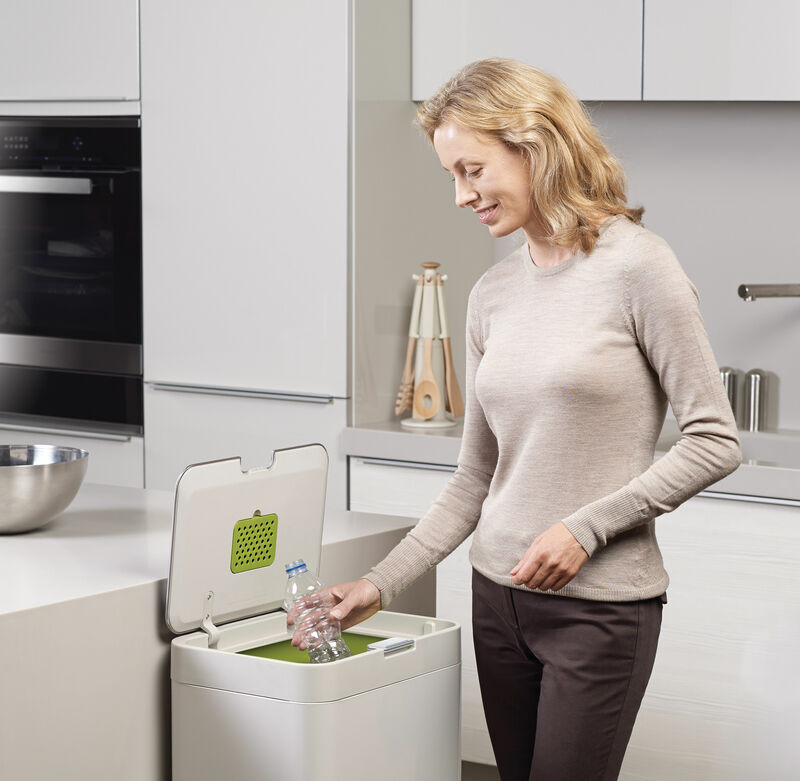 Introducing a completely new category for Joseph Joseph, specifically created to cater to the various waste and recycling needs of modern life. The first product in this innovative new category is Totem, a unique range of waste separation and recycling units designed by PearsonLloyd. 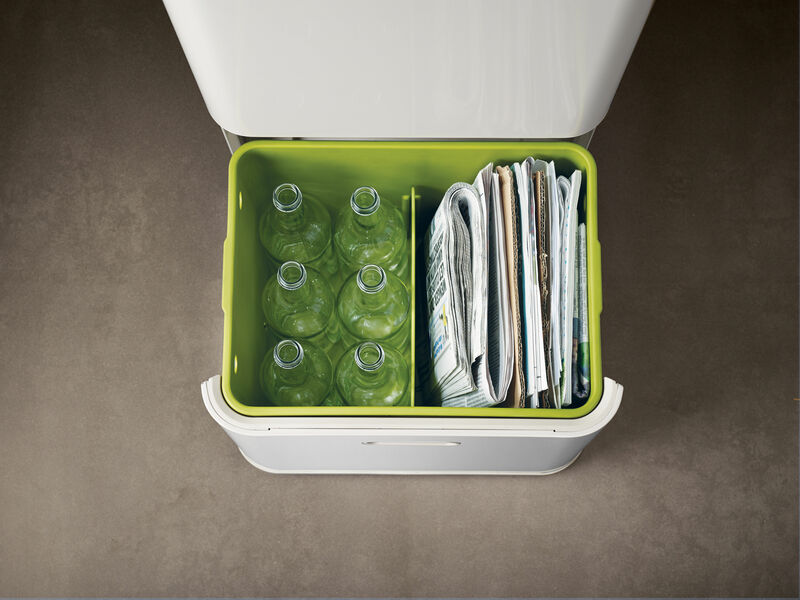 Occupying the same space as a conventional kitchen bin, Totem offers many more functions without compromising on capacity. Designed to help eliminate unpleasant odours and ensure that you don't need to remove a half-empty bag just because of the smell. 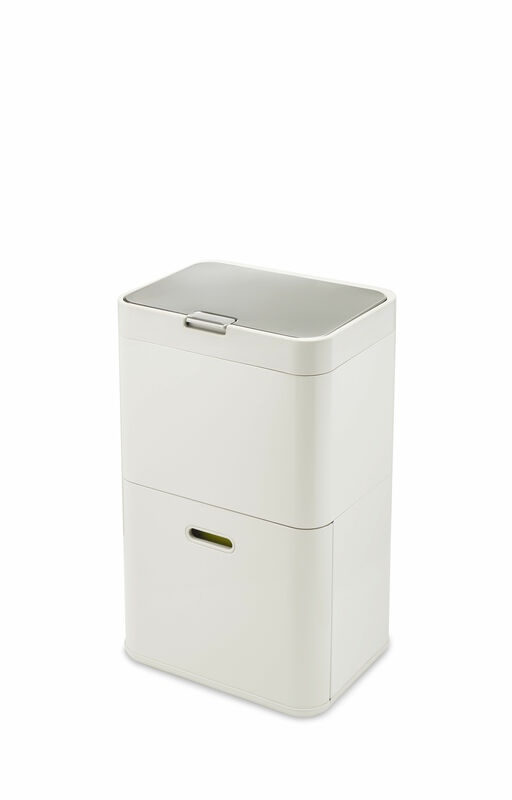 The carbon filter is discreetly integrated into the underside of the lid, and is quick and easy to change. 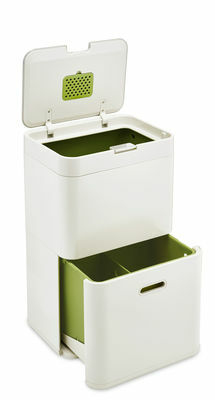 Totem features a fingerprint-proof stainless-steel lid with touch-button release. The main body is made of powder-coated steel and comes in two colours, Stone and Graphite. Totem can also be easily moved around the home by using the integrated handle on the reverse and wheels on the base, meaning no more scuff marks on the kitchen floor.